School expulsion is a black mark on a student’s record. Students who are expelled not only have to attend a school out of the district, but an expulsion could also impact their ability to get into colleges, the military and the record often times comes up on background checks. That is why you need to know that every student who is recommended for expulsion is entitled to a school expulsion hearing under the CA Education Code. At an expulsion hearing, you have the right to be represented by an attorney, but unlike in a criminal case, an attorney will not be provided to you if you do not hire one. If you want to win an expulsion hearing, you should speak to an experienced expulsion lawyer who can aggressively advocate for your minor child. 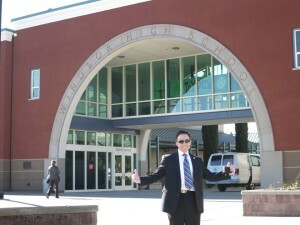 At Fiumara & Milligan Law, we have handled and Won numerous school expulsion cases throughout Sonoma County and Marin County for over 25 years. We know what it takes to WIN for our clients! However, once a student is recommended for expulsion, he or she has the right to request a a school expulsion hearing. The hearing can be conducted by the governing board of the student’s school district, a panel of three appointees, the county hearing officer or an independent hearing officer. At the hearing, testimony from any witnesses, including other students and teachers is heard. All rules of evidence are relaxed which gives a false impression that this is an informal proceeding, but it is not. The best thing you can do if you wish to obtain a favorable result at a school expulsion hearing is contact an experienced attorney to represent you and your minor child at the hearing. An expulsion hearing has some of the same aspects of a regular criminal trial, but not quite. So you will want to be represented by someone who has years of experience successfully arguing for clients. 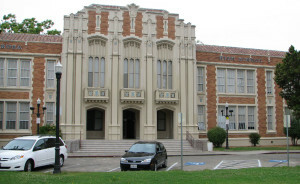 How can an experienced attorney make a difference at your school expulsion hearing? First, your expulsion lawyer will interview you or your child about the alleged incident. After learning the facts of the case, your attorney could determine whether the rights of the student have been violated based upon the strict timelines and procedures enacted in the CA Ed. Code. Minors in school have certain rights, but they are often violated by school officials or police at school. If your child’s rights have been violated, your lawyer may be able to get the recommendation for expulsion overturned or modified to a suspended expulsion instead. Additionally, your school expulsion attorney will attempt to work with school and district officials to fashion a contract or a suspended expulsion agreement that avoids the harsh result and an adverse permanent record of an expulsion. There are many options that may be agreeable to both the student and the school rather than going through the agonizing and protracted school expulsion hearing process. If an agreement can’t be reached, your lawyer will fight zealously on your behalf at the expulsion hearing. 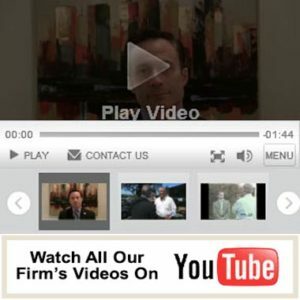 Your lawyer will attempt to present evidence and witness testimony that highlights your child’s good character and reputation while attacking the credibility of the accusations against him or her. This approach often shows the administrators who hear these types of cases that there are less drastic alternatives to school discipline than an expulsion. Suspension shall be imposed only when other means of correction fail to bring about proper conduct. However, a pupil, including an individual with exceptional needs, as defined in Section 56026, may be suspended for any of the reasons enumerated in Section 48900 upon a first offense, if the principal or superintendent of schools determines that the pupil violated subdivision (a), (b), (c), (d), or (e) of Section 48900 or that the pupil’s presence causes a danger to persons or property or threatens to disrupt the instructional process. If your child is facing expulsion from school, you should contact an experienced school expulsion attorney immediately. At Fiumara & Milligan Law, our skilled and knowledgeable lawyers have over 25 years of experience successfully representing clients facing expulsion from school. We’ve helped hundreds of students in their time of legal need, and we can help you or your child now. Call us now at 707-571-8600 OR 415-492-4507 for a FREE consultation. We will get through this together. For more info on Education law and how we can help you, CLICK HERE.